Of battle, dying moans and painful breath. A grave for him that he might better rest. And there the lark shall turn her dewy nest. Given that it is the centenary of the outbreak of the First World War and given that I am studying 20th century history for my Open Uni module this year it was inevitable that I have been pre-occupied with thoughts of what was originally known as The Great War. The poem above is by a poet and political activist who may have walked the same fields and river banks as I; who loved the Boyne valley as I do now nearly one hundred years later. You can find out a little more about this remarkable man and Slane native over here. 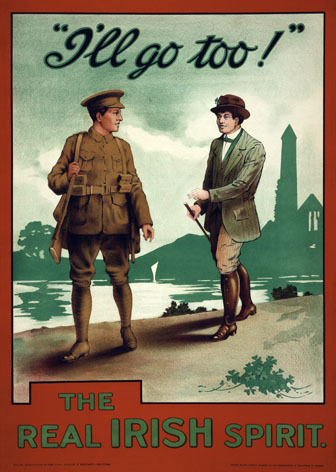 Ireland, both North and South has had a problematic relationship with the memory and the re-memorial of the First World War. I did not study the poetry of Francis Ledwidge in my Northern Irish Catholic school, rather the famous English war poetry of Wilfred Owen and Siegfried Sassoon was studied in all it's heart-breaking majesty. My maternal Grandfather who came from a staunchly Unionist tradition retorted to a bemused sixteen year old me one day, that 'my lot' did not willingly participate in the blood sacrifice that was the Battle of the Somme. This stuck in my head for a long while for some reason. 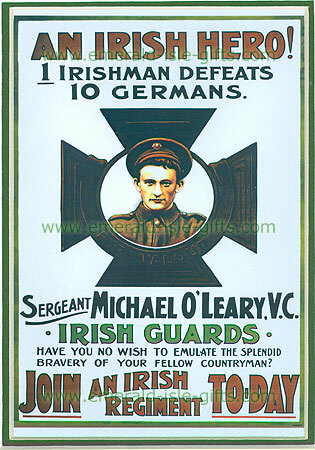 While around 200 000 men and women from what was to become the Irish Republic went off to fight on the side of the Allies, back at home events were to occur that ensured that while approximately 35 000 of those individuals never made it back, those that did return faced a uncertain and dramatic future. Revolution, Civil War, Partition and the formation of a new post-colonial national identity would ensure that The Un-returned Army was for a very long time, airbrushed from our history. Now, we are turning again to a re-consideration of these events and so I was delighted to attend the 20th John Boyle O'Rielly Autumn School which this year was devoted to the possibilities of how to re-examination the controversial legacy of this conflict. This historiographical conference is held every year by the Old Drogheda Society in our very own *'cup and saucer' Millmount and I would urge anyone in the locality who is interested in history (especially local history in the context of international events) to try and attend. Six fabulous speakers and a great lunch in The Tower restaurant proved a great day out. I really came away with a more nuanced understanding of how Ireland was shaped and is still being shaped by her position within this conflict. 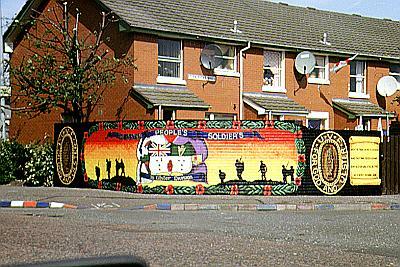 One historian who really stood out for me was Phillip Orr, who has written extensively on Unionism and the Great War and his evocative sentence describing the departure of the 36th Ulster Division filing past the Victorian pomposity that is Belfast City Hall as being the moment that can be seen to symbolise the beginnings of a new Ulster Loyalist identity really brought me to a profound overview on the formation of the 'state' that I would call home and simultaneously feel culturally unwelcome for most of my formative years. You can see a version of his lecture on YouTube here. 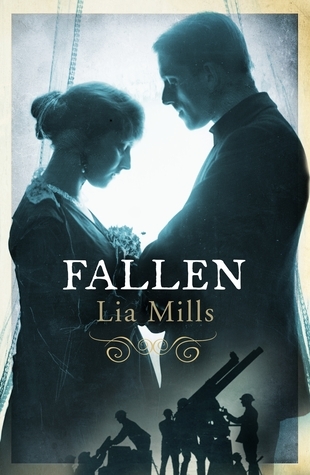 Finally, I have been losing myself in the beautiful novel 'Fallen' by Lia Mills, which follows the story of Dubliner Kate Crilly who finds herself torn asunder by both the First World War and The Easter Rising. This is a love story, of familial love, of sexual love and of the possibilities inherent in times of great change, the life affirming possibilities of meeting the challenges of fate. Mills manages to evoke the grief sodden atmosphere of 1916 Dublin society, the blunt eruption of violence that was the Rising and develop the fledgling relationship between the two main characters with an economy of language that is enviable. *The 'cup and saucer' is the local nickname for our local landmark Millmount, the Martello Tower on the great mound that has looked over Drogheda for centuries and has many of its own tales to tell. Rules for Autumnal Blackberry picking.